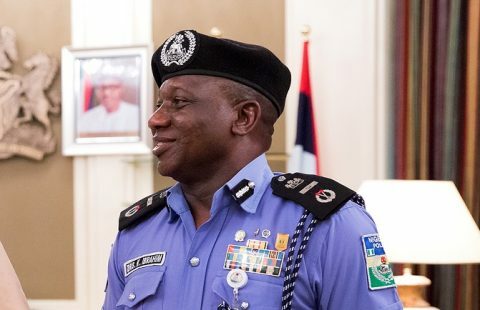 (AFRICAN EXAMINER) – More drama has unfolded as Senator Dino Melaye of Kogi State has given the Inspector General of Police IGP, Mr. Ibrahim Idris 48-hours ultimatum to produce the six suspects connected to his alleged arms case, but purportedly escaped from Police custody. 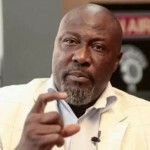 Melaye, who is said to be out of the country called the Senate at the plenary Wednesday and informed that he had briefed his lawyers to take a legal action against the Police boss on the development and order, to re-arrest the suspects. 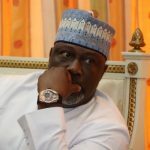 ‎In his point of order, Melaye told the Senate that the suspects had allegedly escaped from custody prior to his arraignment today (Wednesday) before a court in his State – Kogi. It would be recalled that Melaye has in the past ignored about three Kogi State Police summons, contending he doubted the security of his life, therefore, preferred to appear before a law court in Abuja. Following his disappearance, the Police Force declared him wanted. 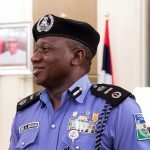 Earlier today (Wednesday) Police said the six suspects in illegal arms possession case against Senator Dino Melaye have escaped from their custody, a development that made IGP Idris to remove Kogi state police commissioner, Mr Ali Jang. Police Spokesman, Jimoh Moshood last Monday in a statement said Senator Dino Melaye and three others were facing Illegal Arms Possession following the arrest and confession of some thugs allegedly hired by the Senator. 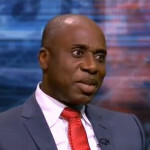 Mosshood explained that the men were arrested on 19 January, 2018 at Ogojueje in Dekina Local Government Area of Kogi State, after a shootout with the police and have confessed being hired by Melaye, to cause mayhem in the state.